The Hawaiian word waipuna, translates into “spring water”, an essential resource for supporting life, the very definition of wealth. 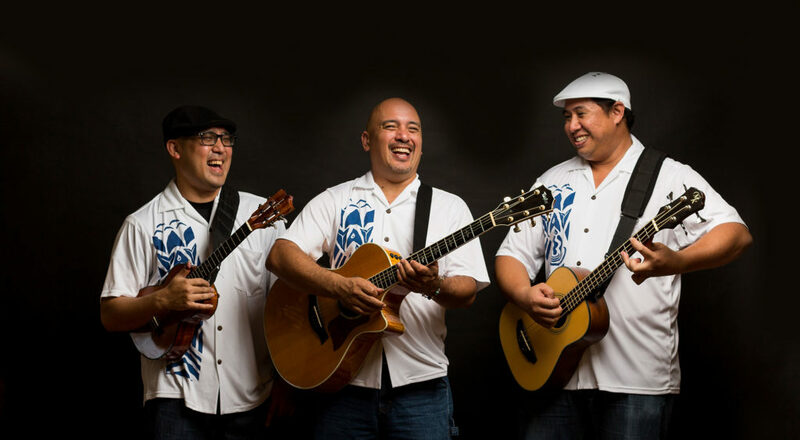 Just like the refreshing spring water that continually bubbles forth from the ground, the Hawaiian music group, Waipuna, who burst upon the music scene in 2008, has sustained a steady pulse of creative energy. 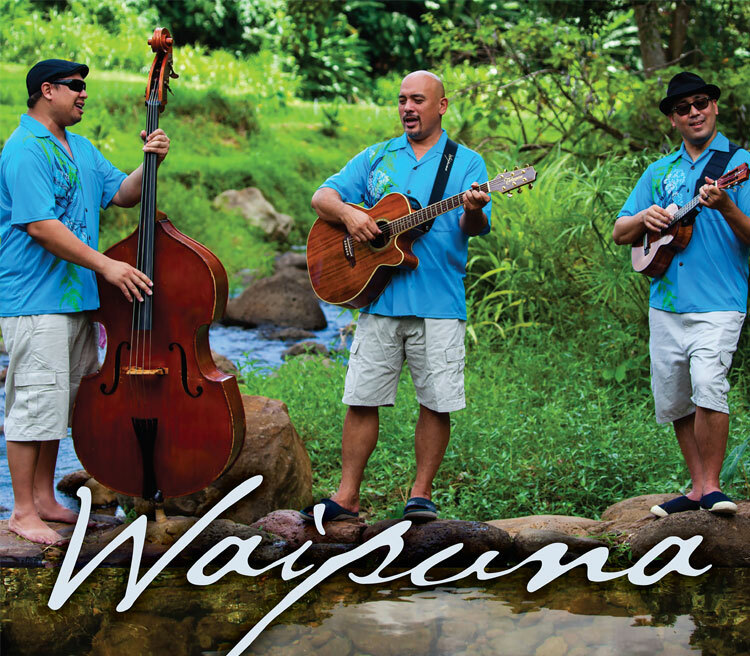 With dramatic musical arrangements and progressive instrumentation, Waipunaʻs one-of-a-kind sound combines the traditional teachings of their mentors and expands the boundaries and expectations of todayʻs Hawaiian music. The group consists of founding members Kale Hannahs and Matt Sproat, as well as David Kamakahi, who joined the group in 2011. The eclectic collaboration of these three uniquely talented individuals not only provides for an innovative sound, but allows the group to successfully cross-over (as well as combine) various genres of music with ease. Waipunaʻs music has been widely appreciated and enjoyed not only by the people of Hawaiʻi, but also a wide spectrum of audiences around the world. They have provided inspirational accompaniment for hula dancers, touched hearts through their poetry and earned seven Nā Hōkū Hanohano awards (Hawaiʻiʻs version of the Grammy Awards) for their first four albums. As full-time musicians, the trioʻs active tour schedule keeps them busy throughout the year, with shows from Japan to North America and even Europe. Kale, Matt and David take pride in the responsibility of sharing the Hawaiian culture in their travels, and enjoy reshaping and redefining peopleʻs understanding and expectations of Hawaiian music. Waipuna CDs and digital releases. Mahalo for supporting Hawaiian Music!! WOW!! Mahalo for including Waipuna in the top 10! FINAL ROUND of voting for the 2019 Nā Hōkū Hanohano Awards’ FAVORITE ENTERTAINER starts now!! Ho'omaika'i ia kakou 'apau! Congrats to everyone! The 2019 Nā Hōkū Hanohano awards are coming up on May 25th and one of the featured categories is the “FAVORITE ENTERTAINER” award, which is open to the general public to vote. We are humbled to be included in a long list of talented entertainers and friends. Click on the link below and vote for Waipuna or any of your favorite artists. Mahalo for supporting Hawaiian music and its Musicians! Home of the Nā Hōkū Hanohano Awards and Music Festival! Find out more and sign up with The Hawai‘i Academy of Recording Arts (HARA) and Nā Hōkū Hanohano Awards. Nagoya oishii everytime! Arigato Ogos onoloa and Yonnezawa! Yonnezawa 10th Osaka Hawaiian Fest!!! Ichigo! Sanshin! Shinkansen bento! Show 5 of 6 PAU! AZASU!!!! Awaji Shima Hoʻike, 22 songs, otsukaresamadeshita! Mahalo nui, Kumiko sensei and Wilileipua Kumiko Hula Studio! Sending our aloha out to the Rossetti ʻohana. Fly with angels, Skylark. Love you always. Mahalo for everything that you’ve done for Hawaiʻi. ZENBE, NARA = DAISUKE!!!! Sugoi tanoshii! Mahalo! Kobe otsukaresamadeshita!! Tanoshikata! Mahalo gozaimasu!! Arigato Hiroshima! Tsugi no, KOBE!!! !